If you like to get out and about with your child, you’ll need a lightweight, versatile stroller that’s up to the job. 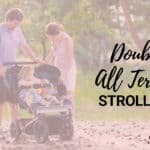 Strollers can be expensive, so it’s crucial that you choose wisely to avoid having to buy twice. But with so many great umbrella strollers to pick from, how on earth do you know which is the best for your needs? In this article, to help you make the right decision, we compare two of the best-selling lightweight umbrella strollers on the market today from two manufacturers who both produce great quality, feature-packed children’s gear. 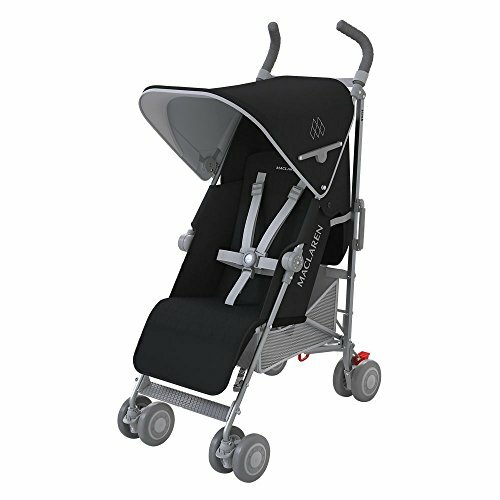 The Babyzen Yoyo and the Maclaren Quest are both extremely popular, lightweight umbrella strollers. 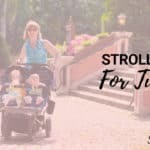 However, there are a few notable differences between these two best-selling strollers, any of which could be a deal-breaker for you. First of all, let’s introduce these two heavyweight stroller manufacturers. Based in France, Babyzen makes a range of children’s products, including several styles of strollers. The company has a big following right across the world and is famous for producing the very first stroller that could fold into a neat package that’s compact enough to fit into an airplane overhead luggage bin. The design concept behind Babyzen’s Yoyo is to provide parents with the ultimate in travel convenience. The Yoyo folds and unfolds simply and quickly. When folded, the Yoyo is not much bigger than a large purse. In fact, the folded stroller is so small; it can fit into most train and airline overhead lockers! When it comes to the push, the Yoyo is refreshingly light and easy to maneuver, even with only one hand. 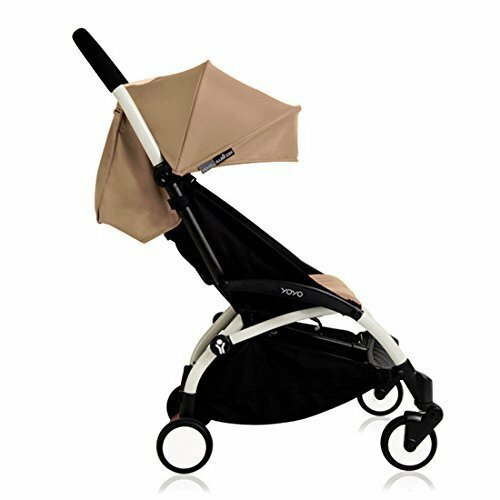 Unlike many umbrella strollers, you can use the Yoyo for a newborn baby thanks to a flat, infant nest that’s included in the stroller package. You also get a five-point safety harness, a useful foot cover, a headrest, and a two-position, pop-up sun canopy. To see a video of the Babyzen Yoyo in action, click this link. Owen Maclaren was an aeronautical engineer when he took the quantum leap in 1965 from designing airplanes to creating strollers. Maclaren focused on making super-light strollers as a replacement for the old-style, heavy prams of the day. The first Maclaren stroller was made from tubular aluminum and weighed just six pounds! Also, the stroller could be folded up, collapsed, and carried using just one hand, like a golfing umbrella. And so the forerunner to the modern umbrella stroller was born. The Maclaren Quest is a lightweight umbrella style stroller. Thanks to a seat that reclines completely, the Quest can be used for a newborn without the need for an infant mattress insert. 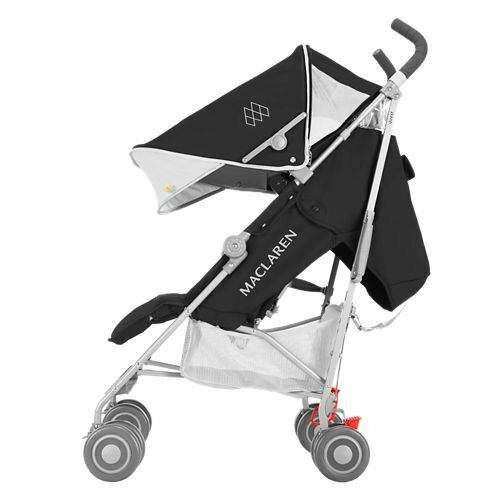 As well as its good looks and high-quality materials, the Maclaren Quest has a huge sun canopy, which sets this stroller apart from the competition in its class. The canopy can be extended via a UV 50+, pop-out viewing window. Also, the Quest’s seat is bigger than the average for other strollers of this type and can accommodate a hefty toddler up to 55 pounds! The stroller’s ludicrously big canopy! Check out a video of the Maclaren Quest in action at this link. Now let’s compare these two super-light umbrella strollers head-to-head. The Babyzen Yoyo is extremely lightweight and compact, so it’s ideal for getting around town with your child, especially if you use public transport. When the Yoyo is folded, it measures a compact 20.47 x 17.3 x 7.08 inches, so it’s about the same size as a large purse or bag. The Yoyo is built and designed for the family who loves to travel light. The stroller is fitted with a padded shoulder strap so that you can easily carry it when it’s folded down. Although not as compact as the Yoyo, the Quest weighs just 12.3 pounds and folds up neatly. A handy, padded shoulder strap means you can sling the folded stroller over your shoulder to transport it or use the carry-handle to carry the stroller like a large purse. The lightweight Yoyo can be pushed and steered with just one hand. 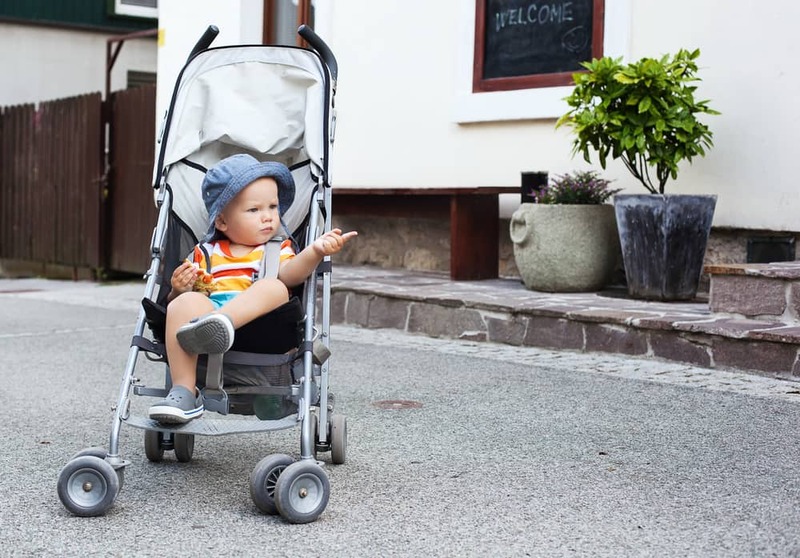 Unlike many cheaper umbrella strollers, the Yoyo has four-wheel suspension, so it gives your child a very smooth ride over uneven sidewalks, curbs, etc. However, you should know that the Yoyo is not designed to be an all-terrain stroller, so it’s not suitable for use on very bumpy off-road trails. In comparison, the Quest copes well with grass, gravel, playground mulch, uneven sidewalks, and curbs. Steering on all surfaces is a breeze, thanks to its six-inch wheels with double-hard rubber tread. The front wheels are lockable for more stable steering over rough ground. Like the Yoyo, the Quest has an all-wheel suspension system that ensures a smooth ride for your child. The Quest is fitted with two link brakes that allow you to lock the wheels. The brakes can be operated with your foot, but you should know that the foot pedal is not flip-flop-friendly. You can also pick from two chassis colors; white and black. Thanks to a fully reclining seat, both the Yoyo and the Quest are marketed as suitable from birth right through to toddlerhood. 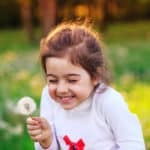 Although the Yoyo has an easy to adjust five-point safety harness, some parents have reported that the straps are flimsy and might not be long enough if you have a large toddler who’s wearing a thick coat. The Quest also has a five-point safety harness, which has a center release fastening that’s virtually toddler-proof. The straps are well-made and generously proportioned to accommodate a big child. The Yoyo does have an underseat storage basket, which is about average for this style of stroller. There’s enough space in the basket for a few baby essentials, snacks, and drinks, but don’t expect to fit your week’s grocery shopping in there too! In the storage stakes, the Quest is streets ahead of the Yoyo! Maclaren has fitted this umbrella stroller with a large storage pocket that’s fitted to the seat back, which will take small essentials such as a phone, keys, and a baby’s bottle. And that’s not all; you also get a generous underseat basket that will comfortably carry a few essentials, including a small amount of grocery shopping, a diaper bag, and a spare coat. Umbrella strollers are not renowned for having generous canopies, but the Yoyo’s is quite large. 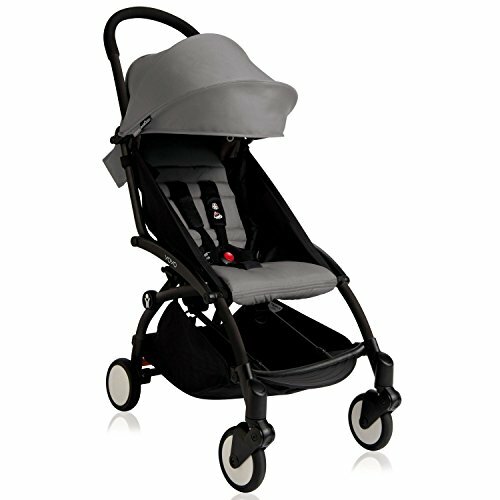 The canopy also offers UPF 50+ protection for the front half of the stroller. The Quest has a very large extendable UPF 50+ canopy that’s bigger than the Yoyo’s. You also get a pop-out sun visor with the Quest that you don’t have with the Yoyo. So, on sweltering, sunny days, your child will be better protected from potentially damaging rays in the Quest than in the Yoyo. The Quest also has a plastic peekaboo window, but it’s set into the seat back, rather than on the top of the canopy. Some parents may find this a problem if they like to be able to see their child at all times. Both the Yoyo and the Quest have a two-position, transparent rain cover that will keep your child protected from the elements on inclement days. 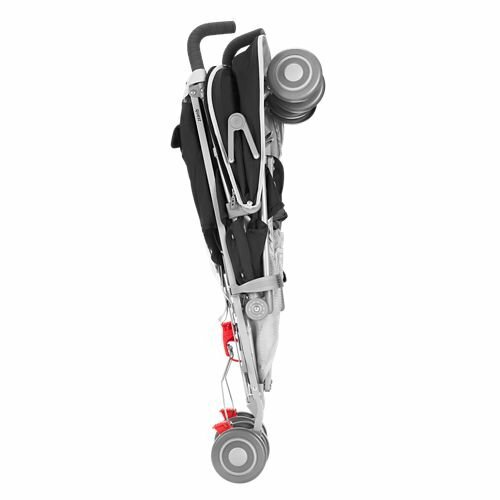 If you like to travel by car, taking your stroller with you, you’ll love the Yoyo’s compatibility with infant carriers from Maxi-Cosi and Cybex. You can fit both of these to the stroller by using an adapter that you buy separately. Unfortunately, the Quest doesn’t have a travel system function. However, you can use the stroller with a carrycot for an infant, although you will need to buy this as a separate accessory. The final package you end up with after folding the Yoyo is neat and compact. The folding mechanism is easy but the stroller can only be folded one way, and the process involves two steps, which can be a bit fiddly if you’re juggling a child as well as the stroller. Unfortunately, the Quest is a little fiddly to fold and cannot easily be collapsed using one hand. You may also find that it’s tricky to engage the auto-lock because you have to bend right down to do so. That’s simply just not going to be feasible if you’re struggling with a fidgeting child at the same time! The Yoyo has a reclining seat that can be placed flat to take a newborn. Unfortunately, the seat depth is on the skimpy side, making it a tight squeeze for a large child. You can remove the seat cover for cleaning, but this is a fiddly process. Compared to the Yoyo, the Quest has a very generous seat that measures a full 13 inches wide. The seat back measures 18 inches, and there are 27 inches from the back of the seat to the top of the stroller’s canopy. That means there’s plenty of room for a tall child or growing toddler. The Quest’s seat is designed to carry a child of 55 pounds, versus the Yoyo’s capacity of 40 pounds. The Quest’s seat also reclines to four positions, including flat. The seat cover is easy to remove and reattach, and the plush fabric is fully machine washable. If you intend to carry a newborn baby in the Quest, you’ll love the pop-up head barrier and the mesh foot barrier that are included to ensure that your child won’t slip out of the seat, no matter how much he wriggles. 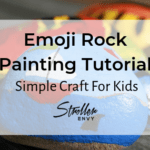 You don’t get these features with the Yoyo, and that could be a deal-breaker for some parents. The Babyzen Yoyo and the Maclaren Quest are well-made, feature-packed, lightweight umbrella strollers that offer excellent value for your money. If you like to travel around using public transport or by car, either of these strollers will fit the bill for you. However, the Yoyo shades the Maclaren when it comes to compact folding and space-saving. Also, the Yoyo will fit into an airplane overhead locker, whereas the Maclaren won’t. As you’d expect from such a super-light umbrella stroller, the Yoyo has been designed with weight-saving in mind. For that reason, you get a rather narrow seat that could be a problem if you have a big child who may quickly outgrow the stroller. Also, the Yoyo has a lower weight-carrying capacity than the Quest. Both strollers give a smooth ride, but the Quest can handle rough terrain where the Yoyo can’t. If you like to keep an eye on your child while he’s riding in the stroller, it’s worth noting that the Quest has a peek-a-boo that’s lacking in the Yoyo. 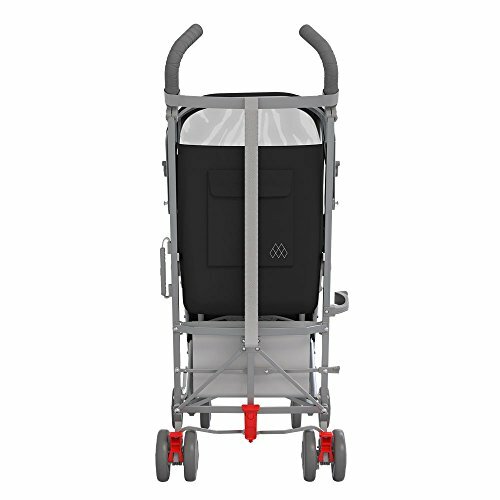 If you need a stroller that will allow you to pick up your groceries while you’re out and about around town, the Quest gives you more storage space than the Yoyo. And, if live in a region with a hot climate, you may find that the Yoyo’s sun canopy is a little on the small side when compared with the extendable canopy boasted by the Quest.